The World Cup has come to an end, and for many of us, it’s time to recover the remote control from the firm grip of our husbands! Sadly for England, football was coming home sooner than they could say ‘World Cup’. But football isn’t forgotten about that easily and no doubt your sons and maybe even your daughters are already training for their next season on the pitch. And before we know it, the Premier League will be dominating our television screens again! 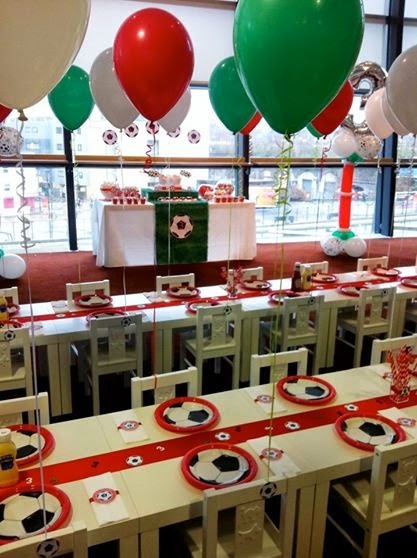 But even if you’re not a huge football fan, a football party is a great idea for a children’s birthday party. A football party really offers a chance to personalise a party, choosing your child’s favourite team’s colours, whether it’s West Ham or West Brom. At the party, kids can tire themselves out with games of football which also gives children a chance to get to know each other, while parents can mingle on the sidelines. 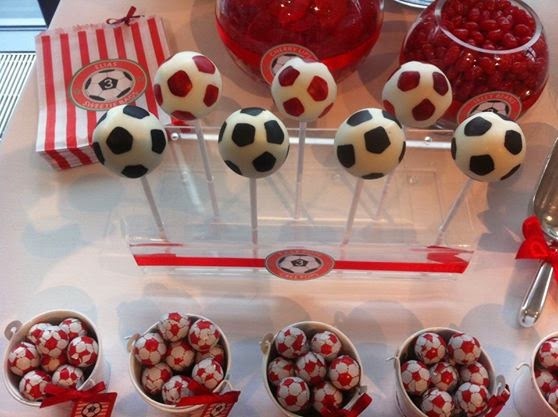 Who can resist a football-shaped cake pop? If you’ve got football fever and would like a football party, contact our party planners here.